Our discussion regarding pools and pool design continues, this time on the topic of fencing. 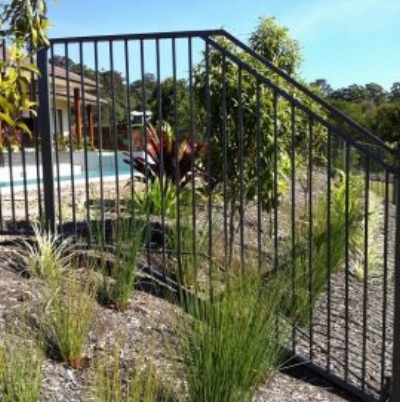 A compliant pool fence is a legal requirement in Queensland, helping to prevent avoidable accidents. This blog will focus on fencing design, compliance, materials, and how the pool fence can affect your overall pool design and landscape design. Pool fencing is available in a variety of materials including timber; powder coated aluminium; glass. Depending on the landscape the fencing material will impact the flow of the space. For example, frameless or semi-frameless glass will visually 'open' the space making it appear larger than what it actually is. In an alternate scenario it may do quite the opposite and will instead visually and physically divide a space. An aluminium powder coated tubular or slatted fence may be better suited. 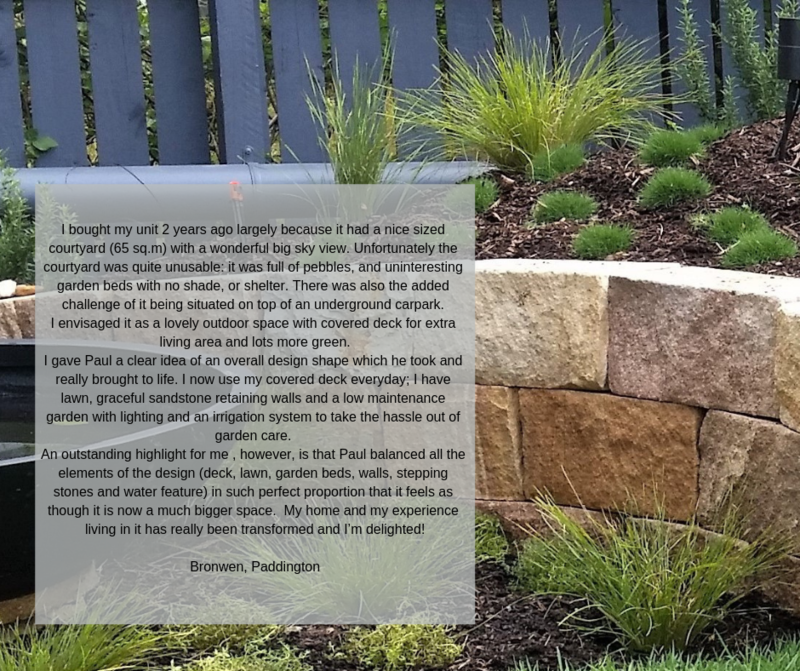 Choice of materials to visually enhance your landscape design, in conjunction with the best placement of your pool fence in relation to the pool while remaining compliant, will ensure the best outcome for usable entertaining spaces and a beautiful flow to your landscaping design. Levels create interest, but can cause headaches when designing a safe and compliant pool fence. As a design element levels create fantastic interest in even the most difficult of spaces. During those moments when you are trying to style an area and you think 'I just can't figure out what's missing' chances are it's time to play with the levels of the various elements in the design and mix them up a bit. When it comes to designing a compliant and stylish pool fence, though, levels can be a bit tricky to navigate. This is where a professional is essential for your pool fence design. 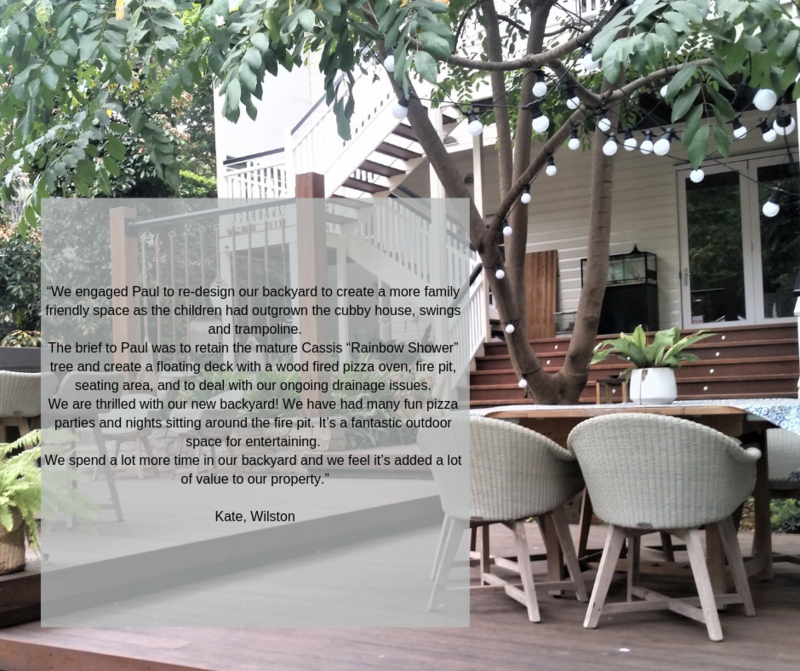 They will consider how to construct a compliant fence that moves from higher levels, such as retaining walls, to lower levels, where your pool and entertaining areas might be. Seek professional advice when planning your pool and fencing. Australian pool compliance rules vary not only from state to state, but also between local councils. Changes can be made to the rules that the everyday person is not aware of. A professional will be across all of these changes, and how those changes apply to your unique requirements. Your Landscape Designer will be able to provide you with a pool fence solution that compliments your landscape design without compromising the safety of those around you. 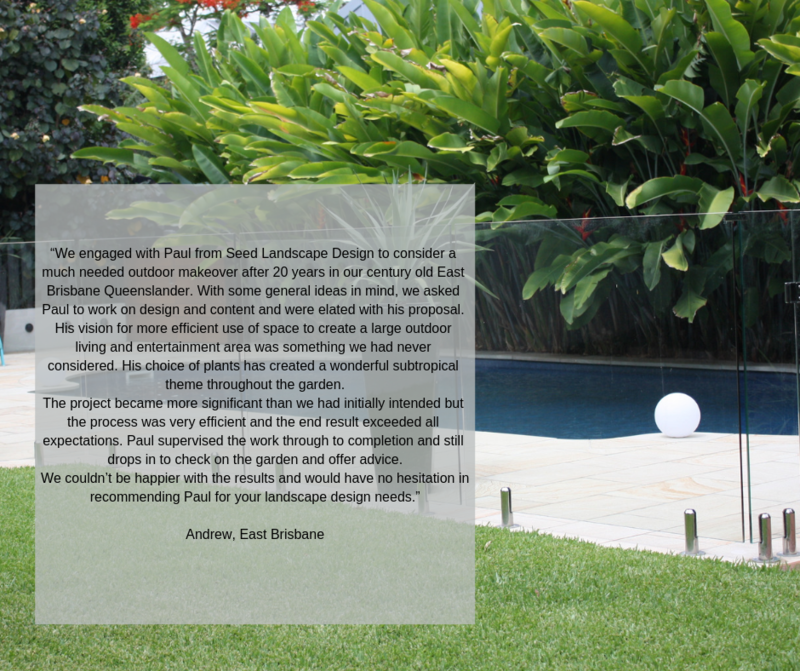 Stay tuned for the next instalment of our Pool Design series as we begin our discussion on Pool Surrounds.